Rats (Fig. 1) and mice are vectors of disease such as plague, leptospirosis, and salmonellosis. Commensal rodents are also associated with the onset of asthma and other allergies. Rats and mice can also cause structural damage through burrowing (mostly Norway rats) and by gnawing on wires, gas lines, and similar materials. In residential environments, there are huge amounts of food available for rodents, making it difficult to attract rodents to traps using food. 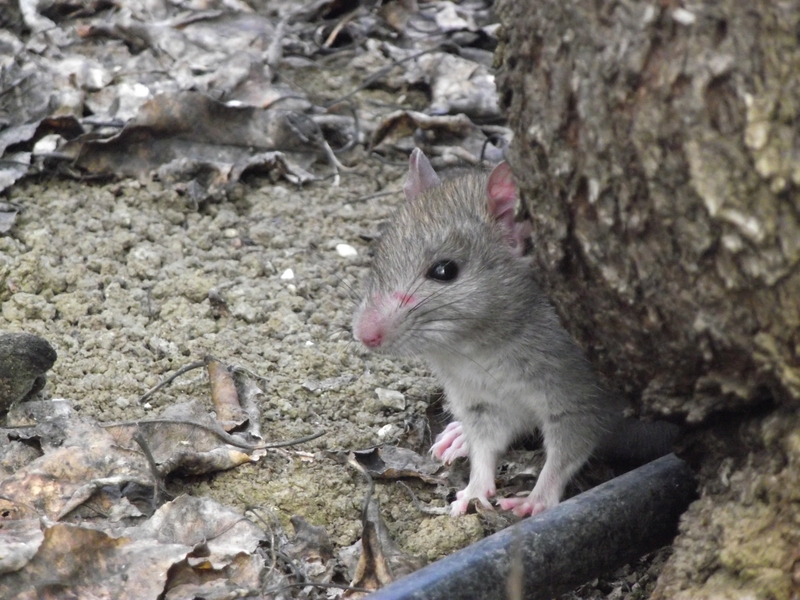 This practical challenge, coupled with the fact that rats can be extremely neophobic (afraid of new things), sometimes makes rodents difficult to manage using traps alone. Rodenticides are generally used for quick “knockdown” of rodent populations in order to reduce exposure to disease and allergens, and to mitigate damage to crops and structures. One problem, however, is that rodenticides may negatively impact the environment. For instance, anticoagulant rodenticides (Table 1) are sometimes found within the tissues of nontarget wildlife. Toxicants, particularly second-generation anticoagulant rodenticides (SGARs), can persist in rodent livers. Then, when the rodents are consumed by predators, the SGARs can be detected as residues in the livers of these predators. Predators may experience sub-lethal effects of rodenticide poisoning (the animal's health may be affected but they do not die) in this way, but the effects on many animal species to this type of exposure is not well understood. Assembly Bill 1687, California Natural Predator Protection Act, has been proposed to protect predators from rodenticide poisoning. It seeks to ban the application of the active ingredients in Table 1 in many situations in residential areas. 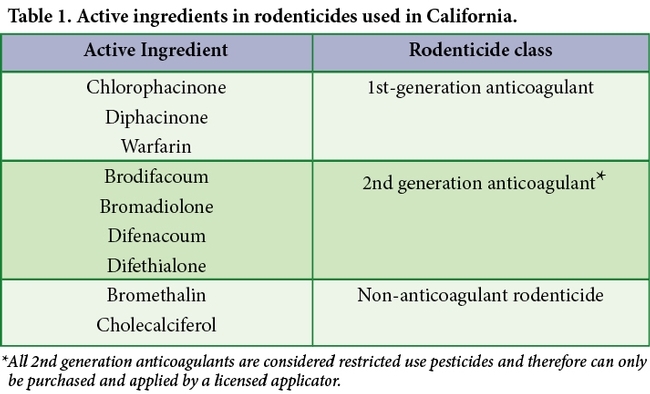 The products listed in Table 1 contain both anticoagulant rodenticides and other rodenticides. 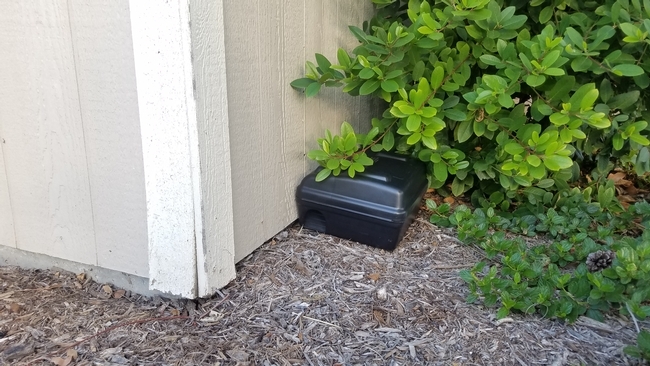 In order to use rodenticides carefully and effectively, it is critical that pest management professionals (PMPs) and residents alike apply all rodenticides in tamper-resistent bait stations (Fig. 2) and according to label guidelines. It is important for PMPs to consider the mode of action of a rodenticide bait, its toxicity, and when and where its use may be necessary. PMPs must especially consider the environmental implications of rodenticide use. Remember that rodenticides are only one part of an effective rodent management program. For information about identifying and managing commensal rodents, see the UC IPM Pest Notes titled Rats and House Mouse.